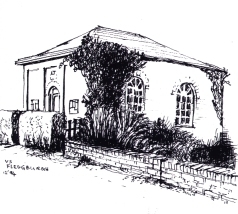 Fleggburgh Methodists worship in Fleggburgh Village Hall which is located on the main Acle to Filby Road, opposite the Parish Church. Excellent facilities together with plenty of car parking. We offer all age worship every Sunday, and give a warm welcome to every visitor. Our congregation, as a team, leads worship at other churches from time to time as invited. May to October, Study Group on alternate Tuesdays at 7.30 p.m. Visitors warmly welcomed at Sunday Services and Study Group.